The Tudor era was the period between 1485 and 1603. In general common housing was timber framed with a wattle and daub infill. Wattle and daub is a building material used for making walls, within which wooden strips are woven. These strips are usually bound together with straw, animal dung, sand, clay and soil. The timber frame was not always visible but our traditional view of a timber frame building is a black and white timber structure, often box frame, where you can see the square boxes of the timber. Chimneys would have been added after the original property was built construction with, in most cases, the original chimney literally being a hole in the roof, or in the gable ends of the property, depending upon the type of property. A chimney was very much a modern accessory. 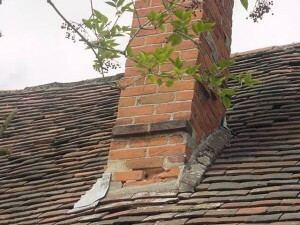 The adding of a chimney can sometimes be an issue (has been an issue for many years) with water getting in where they join the main roof and general spalling of brickwork, particularly where a soft red brick has been used or where a cement mortar has been wrongly used for repointing. We have also found that aerials fixed by wires, or screw fixed, can cause point loading and lead to deterioration of the chimney. 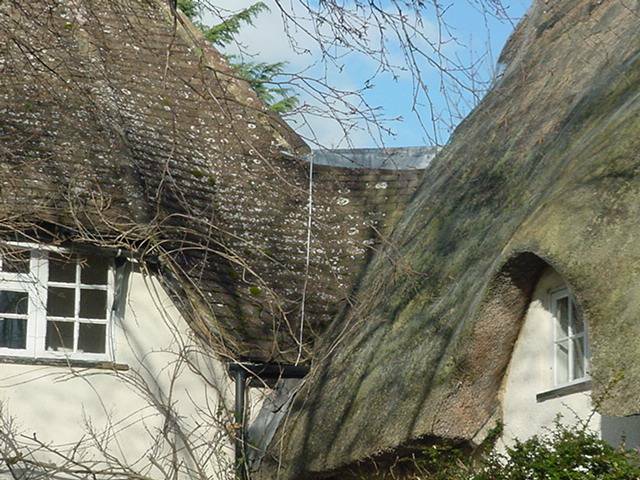 Thatch is generally a resilient material, as long as it is well maintained. Wire mesh needs to be used to prevent birds from using it for nesting. Common roof materials are straw and reed. The frequency of maintenance required will depend on the type of materials used, the quality of the materials used and the skill of the thatcher. 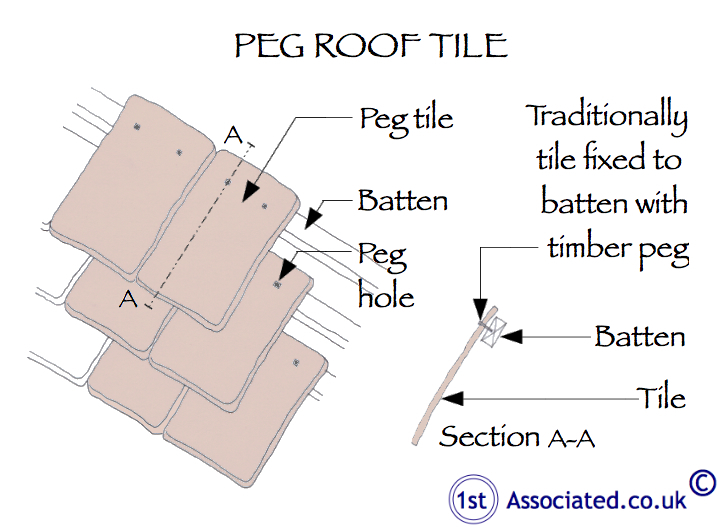 Older style clay tiles will have deteriorated over the years as the clay tiles are soft. They would originally have been held on with oak wooden pegs. 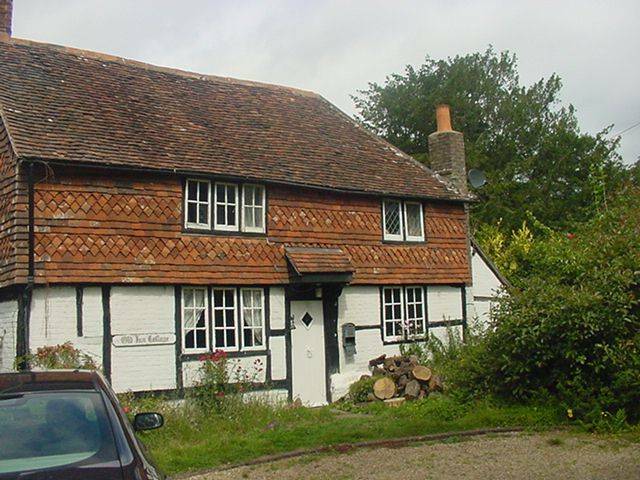 It is a requirement on many Listed buildings that any clay tiles remain. We often come across clay tiles to the front and a concrete tile to the rear. 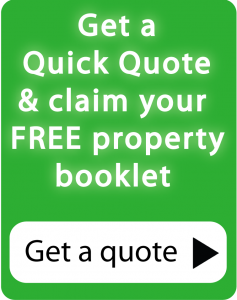 We often come across problems where extensions have been added to a property over the years. 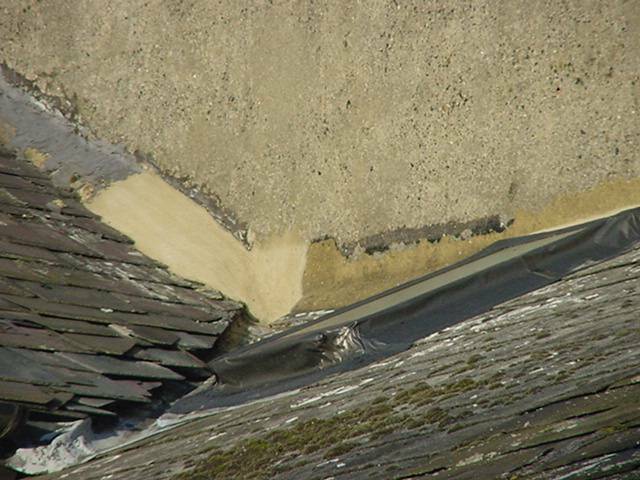 These extensions can create an awkward roof layout Originally, in older properties, these would have been lead but will often have been replaced with felt, or in some cases tar would have been poured over any problems with the roof. We often come across rounded timbers in period properties. This is because originally they would literally have used tree trunks which were quartered. One of the problems that we typically find in timber frames is woodworm, although we have to add that usually the woodworm is not active any more and will have been treated several times over the years. We would also comment that it takes a vast amount of woodworm to actually make an older style timber roof structurally unsound. Other problems can be wet rot and also dry rot, although the latter is relatively rare. A variety of timber frame constructions were used, from the cruck frame to box frame. The varieties depended upon the area and the era. We always consider the timber framework in two categories: the structural frame with its primary timbers and then the in fill timbers being the secondary timbers. 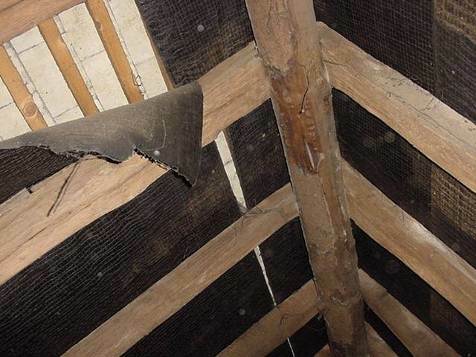 A variety of infill materials have been used in most timber frame buildings; from the earlier use of wattle and daub with a parget plaster, lime based often with horse or oxen hair. In more recent times (by recent we mean in the last few hundred years) brick infill panels have sometimes been used, sometimes in a herringbone pattern for a decorative finish. 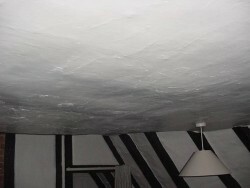 The black and white colours often associated with Tudor properties was in fact a fashion that the Victorians developed. The original parget render would have been more natural in appearance as the colourings would be derived from plants, such as saffron that creates a yellow hue. 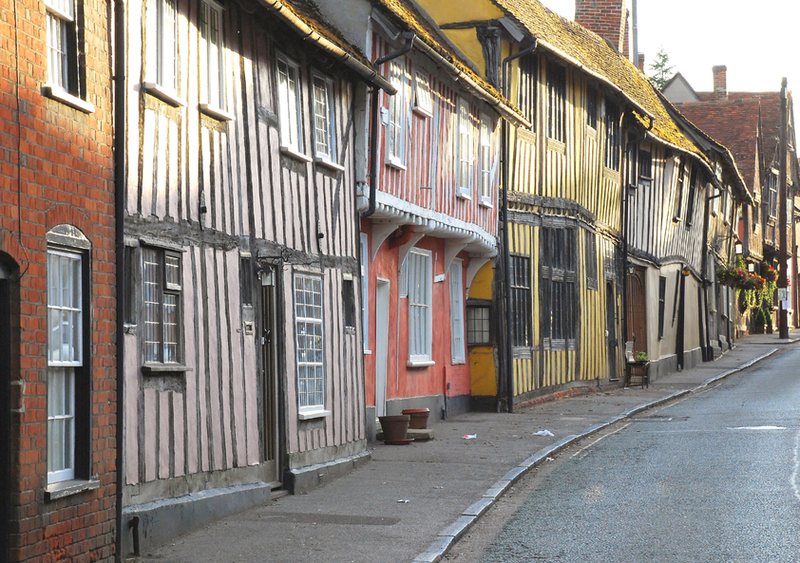 This is often used as a render in Suffolk and Norfolk. The sole plates are at the very bottom of the structure and the wall plates are at the very top of the structure, just before the roof. In both cases they can be susceptible to rot, albeit wet rot, which in turn can cause woodworm. It is very important that both the sole and wall plates are checked when you are buying a property by a building surveyor that specialises in this type of construction. Floors would originally have been earth, possibly with a lime mix to harden it, sometimes with tiles added. Foundations will be minimal, normally built on ground level. In some cases, although we believe it's rare, timber piles will have been used, typically timber forced straight into the ground vertically to build from. Predominantly lath and plaster will have been originally used, there may be some boarding. 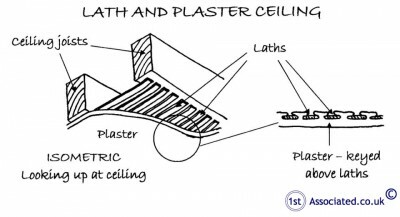 Today, most modern refurbished sections will have been replaced with plasterboard. The use of these different materials can lead to cracking, though of course it can be much worse if it is structural cracking. This needs to be correctly diagnosed. Tudor buildings come in many shapes and sizes. The smaller buildings, in particular, tend to have been extended. This can cause problems when the original property is a timber construction and the modern extension is made of different materials such as brickwork or stonework, which act, and react, completely differently. This combination of different property styles is where the real skill of building surveying comes in, to establish whether they work well together or if they work acceptably together. 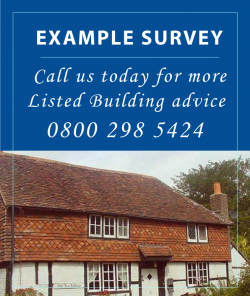 On many occasions with older properties we find the original construction is good and sound, assuming it has been well maintained but it is the additions that have been added over the years that are the problem.